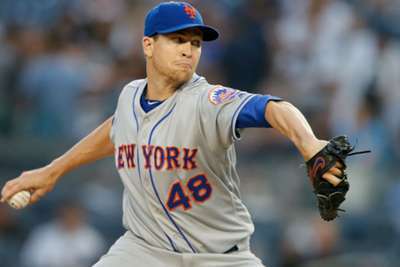 Jacob deGrom continues to build his MLB Cy Young resume after leading the New York Mets to an 8-5 win over the New York Yankees. Mets ace DeGrom pitched 6.6 innings and allowed two earned runs against the Yankees on Monday, while the 30-year-old pitcher surrendered five hits and struck out 12. DeGrom holds a 7-7 record and a 1.81 ERA this season. Robert Gsellman picked up his seventh save of the season. The Mets (50-66) blasted five home runs in the game to pull away. All nine of the team's starters registered a hit and six players drove in at least one run. Yankees starter Luis Severino continued his recent struggles as he was charged with four earned runs in four innings. 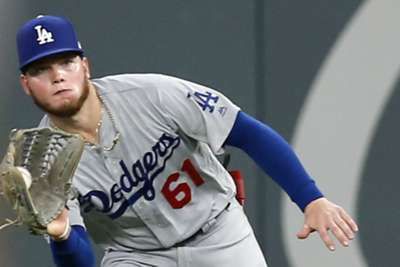 He allowed a lead-off home run to Amed Rosario as well as a two-run blast by Jose Bautista before he was replaced by Chad Green. The game at Yankee Stadium on Monday was a makeup of the contest that was rained out July 22. Detroit Tigers outfielder Nicholas Castellanos went five for five and tallied five RBIs in his team's 9-5 win against the Chicago White Sox. Amir Garrett allowed four runs and recorded two outs in the Cincinnati Reds' 10-3 loss to the Cleveland Indians. Ronald Acuna Jr. led off both games in the Atlanta Braves' doubleheader against the Miami Marlins with a home run. Atlanta picked up two victories. Boston and Philadelphia will open a two-game series at Citizens Bank Park on Tuesday. The Boston Red Sox finished play Monday with a 10-game lead in the American League East, while the Philadelphia Phillies trail the Braves by one game in the National League East. Brian Johnson is set to start for Boston while Nick Pivetta will take the mound for Philadelphia.